We are pleased to release the first part of an intended 6-part series of packages featuring new F-35 Lightning II models from John Young. 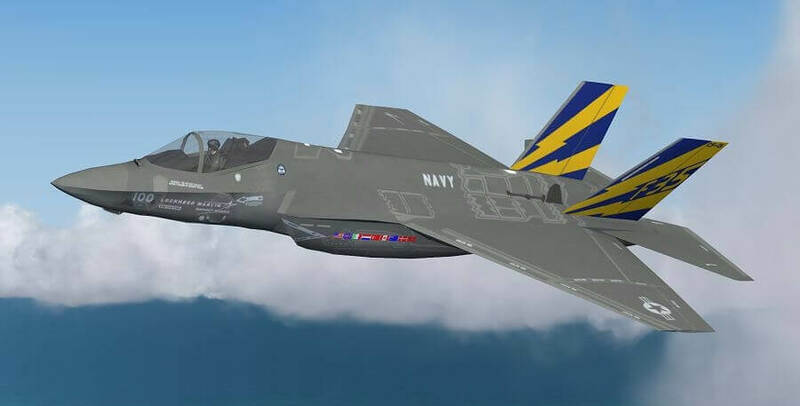 The subject of the first release is the F-35C for FS9 with both conventional and carrier options. Steve Holland has kindly taken on the FDE design for the models in all 6 parts. Military AI Works presents the Desert Falcons of the United Arab Emirates Air Force. 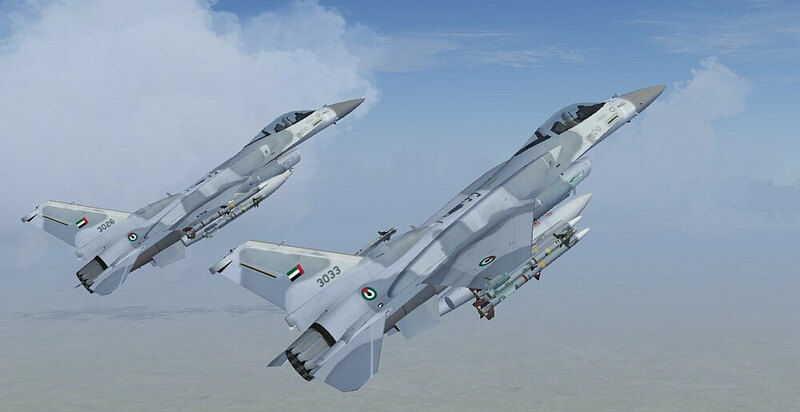 Known as the Block 60 F-16E and F models, these Desert Falcons are the most advanced F-16s in the world and unique to the UAE Air Force. All 80 aircraft are currently based at Al Dhafra Air Base located south of Abu Dabi. 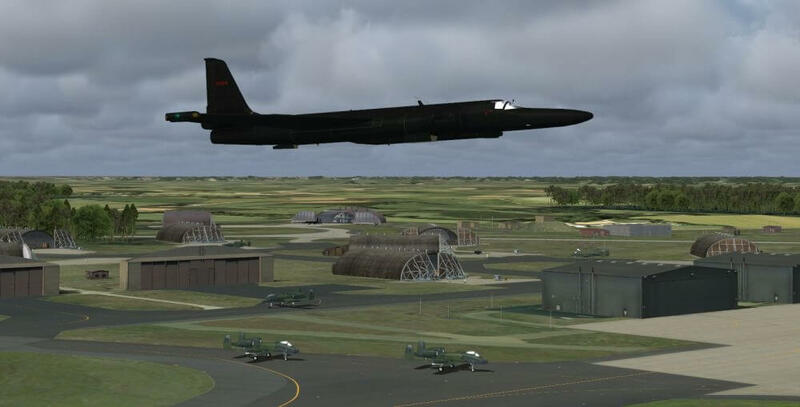 Ian McCartney, well known from his fantastic work at ACG and from his recently released RAF Lakenheath scenery, proudly presents his latest work: a complete retro package for the 10th Tactical Fighter Wing including a stunning scenery for RAF Alconbury and 2 new models from John Young! 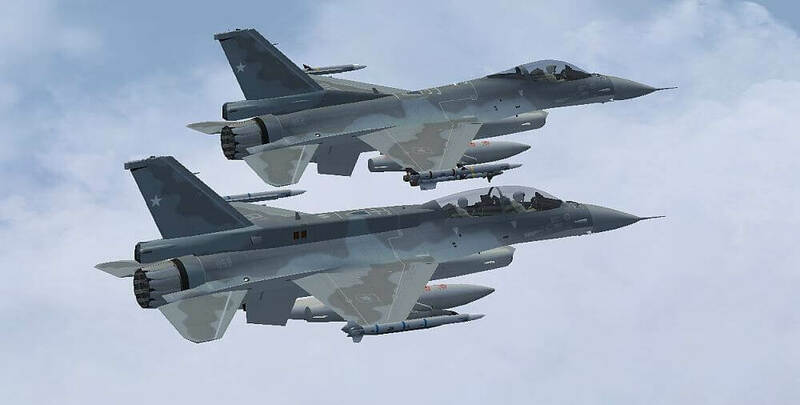 Military AI Works is proud to present the Block 50+ F-16C and F-16D “Big Spine” AI models of the Fuerza Aerea de Chile (Chilean Air Force), Grupo de Aviación Nº3, at Iquique/Diego Aracena International Airport located in Iquique, Chile. 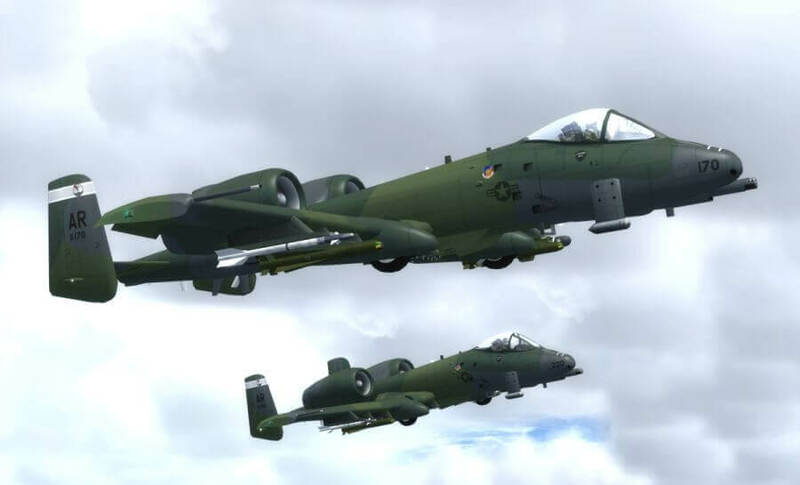 New from John Young, is a collection of completely re-modelled AI A-10 Thunderbolt II’s for FS9, FSX and P3D, including P3Dv4. 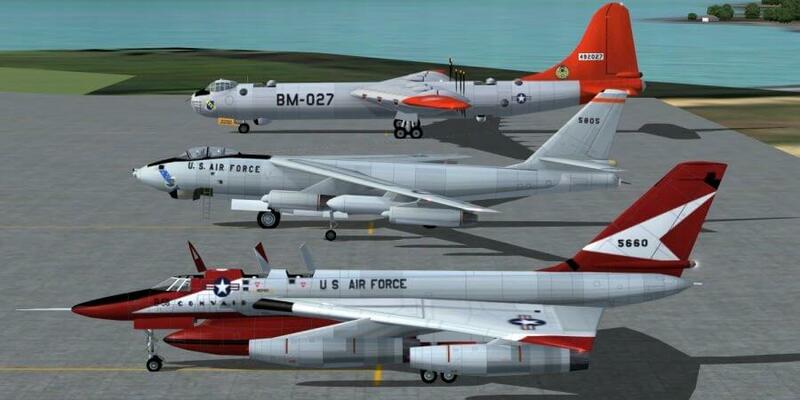 The aircraft will feature in a number of updated packages, starting with Davis-Monthan AFB, Arizona by Brent Newman, which is now available for all 3 sim versions in the Download Hangar. 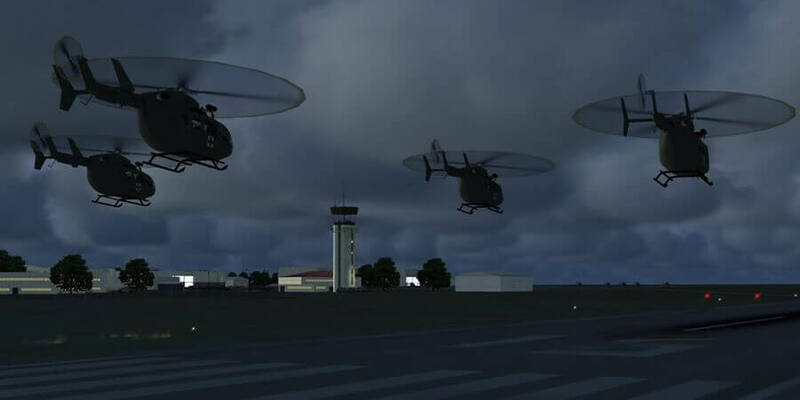 John Young released his long anticipated Eurocopter UH-72A Lakota AI package to our Download Hangar, breaking another boundary in the AI world with special hover taxi animations on these skidded helicopters. The retro scene here at the Home Base of Military AI is about to have a busy weekend with the latest addition to the JYAI line up of retro B-Series bombers: the B-58 Hustler! MAIW is proud to present the USAF Block 50 F-16CM and F-16DM AI model for FS2004. The Block 50 F-16 is a General Electric powered Viper that specializes in the role of suppressing and destroying enemy air defenses through the use of the HARM missile system. This release features models and textures for all 22 F-16’s currently assigned to the 148th Fighter Wing “Bulldogs” based at Duluth International Airport in Minnesota.